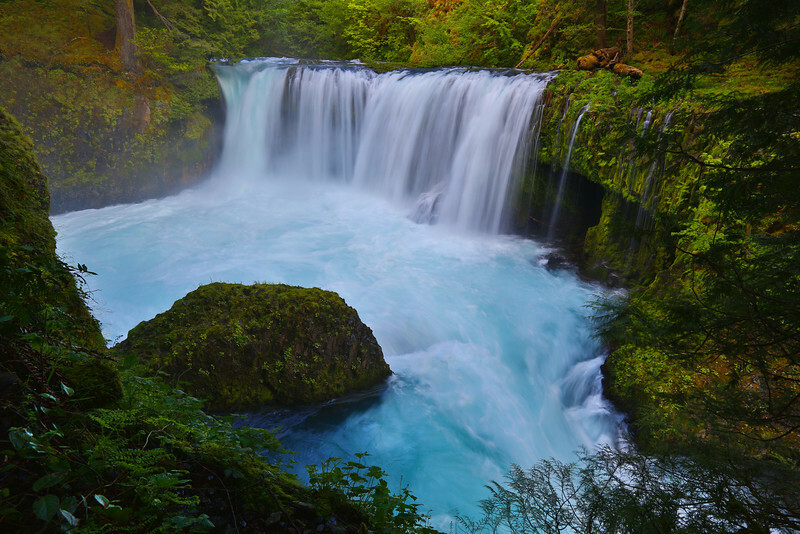 Spirit Falls is known for its blue colored water during the right time of day. The 33 ft drop generates plenty of power as the water swirls rapidly around this basalt rock bowl. Shortly downstream this fast moving water flows between large rocks known by kayakers as “Chaos“. This remote river is quickly becoming a favorite for thrill-seekers of the Pacific Northwest. Glorious scenery. Sounds like a trek that requires real dedication by kayakers to reach it. Wonderful shot! I love the colors and the water motion is perfect! Gosh, this is absolutely gorgeous; I love waterfalls!!! I am appreciative of you taking the time to comment on my photo of Actress Sandra Bullock's New Orleans, LA home in the Daily Photo Community today.